In our digitally connected world, e-Learning is being used ever more frequently as a method of information delivery. Utilized by industries around the globe, e-Learning allows for efficient and cost-effective continued learning and training opportunities. Localizing e-Learning material enables users to access course materials easily from anywhere around the world through the internet or company intranet. Life science industries, as with any specialized industry, comes with its own unique needs. In areas such as Pharmaceuticals or Contract Research Organizations (CROs) employee training materials and courses often utilize e-Learning. This allows you, as an employer, to ensure that all employees are on track and up-to-date with relevant information. You may have training materials related to research, product, policies, and regulations. Healthcare organizations employ e-Learning not only for their training of medical staff such as doctors and nurses, but also staff that works within every level of the organization. There is a wide degree of materials to utilize for e-Learning. In addition to written material, you often have a variety of audio/visual components. Training material often contains quizzes or other testing elements that are necessary for employee records. While it shares the same translation challenges as other projects, such as technical information and field specific terminology, e-Learning has special requirements to consider. When your e-Learning material is going to be accessed by multiple sources, it is vital to explore whether or not this material will require localization services. If you plan to use the same course material in multiple offices (in different countries), there will be parts which you may need to translate. Since translated text often changes in length, there is a chance that the material itself may increase or decrease in length. Should you have a quiz question upon completion that references a certain page number, a simple straightforward translation of the question may not only be erroneous, but ineffective. Your translations and voiceovers (VO) of audio-visual components must not only convey the same message, but be culturally appropriate for the target learner. Unfortunately, not preparing properly may mean additional cost for you in the long run. Get to know your target audience and design your course in a way that is appropriate for all your target locations. Decide if cultural adaptations will be necessary in the target modules such as adapting currency, measurements, or references that may be misunderstood. Try to avoid slang and idiomatic expressions as these are often not understood cross-culturally. Activities using acronyms and word games to express concepts are not recommended as they will change during the localization process. Keep terminology and segmentation consistent among all courses and collateral material such as manuals and quizzes. The more consistent, the more cost savings gained during localization. Text expands (or contracts) after translation so make sure your design can accommodate the expansion/contraction. Create a script when producing audio segments. Your language service provider (LSP) may charge you for transcription as an additional task. For consistency and synchronization, make sure that your script and VO recording match exactly. If budget is a priority, keep it short and relevant to save costs. Alternatively, you can instruct your LSP to use subtitles in the localized versions instead. Make internal reviews an integral part of the design stage so they can ensure culture appropriateness. If you’re working with multiple reviewers, assign roles so everyone is on the same page in terms of authority/workﬂow. Create necessary Style Guides and Glossaries to ensure consistency during localization as well as keeping in line with linguistic expectations. Create a testing plan with instructions for your LSP to be able to navigate the e-Learning course. Make sure the testing plan contains the answers to all the quiz questions. By preparing for localization of e-learning before you produce content, you ensure that the material is optimized for localization. Not requiring content re-development for each audience will save you time and money, while producing the best e-Learning content possible. 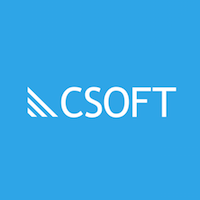 Learn more about CSOFT’s dedicated Life Sciences blog: The Word Lab.